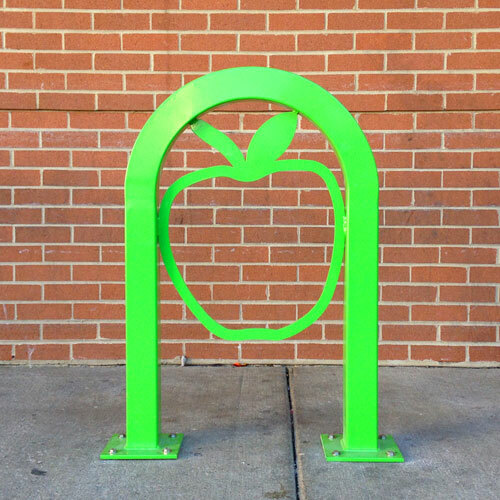 Some projects take a while, and we actually sketched out these bike rack concepts a few years ago, revised and finalized the designs last year, and they were recently fabricated and installed in front of two Kroger stores: the one in our neighborhood of Over-the-Rhine, and another location in East Price Hill. 15 Gorgeous Photos of the Old Cincinnati Library: amazingness in the form of historic photos. Cincinnati Timelapse: amazingness in the form of a video. Walkin’ Around, Checkin’ Stuff Out: awesome illustrations of Minneapolis and St. Paul by the artist Wacso. Daytonian in Manhattan: just an awesome blog that examines the history of various buildings. 5 Spectacular Bridge Houses: architectural eye candy. Haunting Portrait of a Vanishing World: Photographer Captures Desperate Decline of 1970s Leeds as the Old Way of Life Slowly Died: just that. I spotted this ghost sign at 7th Ave. and 36th St. in Manhattan. As far as I’ve been able to research it, Disc-o-mat, the “home of cheap records,” was a music store back in the 1970s. I know, I know, such insights! In other words, I can’t really find anything. Movies Shot in Cincinnati: from Eight Men Out to Seabiscuit. The True Cost of Commuting: You Could Buy a House Priced $15,900 More for Each Mile You Move Closer to Work: just that, suburbanites. Floyd Bennett Airfield: incredible photos from a strange place in Brooklyn. Frankenstein’s Castle in Dayton: it may or may not be haunted. LEGO Architecture: Towering Ambition: a current exhibit at the National Building Museum in Washington, DC. Sanborn Fire Insurance Maps: amazing cartography and typography, all rolled into one beautiful, informative package [this archive includes only cities in Utah]. Rainbow House: just that, plus an amazing spiral staircase. Cincinnati: a fascinating retelling of the city’s history. Manifestation: 5chw4r7z unravels the mystery of a new storefront on Vine St. in Over-the-Rhine. The Genius of Water: Cincinnati’s Tyler Davidson Fountain: one of Cincinnati’s most famous landmarks as depicted in art. Art Project Puts Focus on Everyday Faces: a worldwide public art project by JR manifests itself in the Cincinnati area. Etsy Love: VisuaLingual: thanks so Lavender & Twine Bride for the kind words about our seed bomb favors! Activated Spaces: interesting program aims to give new life to vacant street-level commercial space in downtown Dayton. Response to the New York Times: Cities Report Surge in Graffiti: just that, from the Subway Art Blog. We are so excited to participate in the Crafty Supermarket this Saturday at the Clifton Cultural Arts Center at 3711 Clifton Avenue [corner of McAlpin, next to Fairview German School]. The event is scheduled for 11am-6pm, and there will be 50 art, craft and design vendors, DJ and food vendors, many from Cincinnati, plus a few from Dayton, Columbus, Indianapolis, and Pittsburgh, among other places.